Middle Keys marinas cover the Marathon Key portion of the Florida Keys with Marathon FL marinas being the densest. Perfectly positioned, this section of islands is a boater's paradise. With easy access to Key Largo, Key West and the Intracoastal Waterway, it's no wonder that numerous Florida Keys marinas dot the landscape. Marathon Florida also happens to be home to the Keys only fully protected harbor. 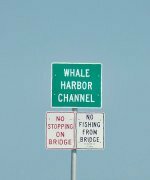 By definition, harbors are places providing safe haven to boaters during foul weather, and the Florida Keys is no stranger to this. 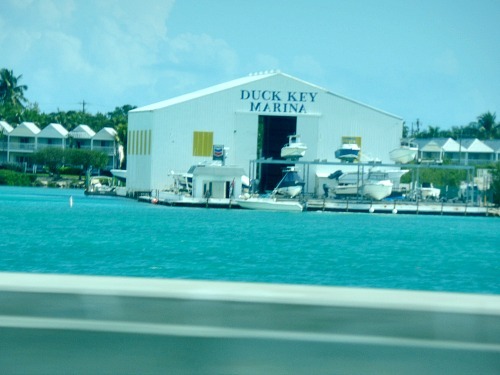 One of the more popular marinas Marathon FL has is Boot Key Harbor. This harbor benefits from the protective layer or ribbon of land surrounding it. This cushion provides enough protection to make this sheltered area a popular destination for transients and liveaboard boaters. To enter the protected waters of Boot Key Harbor there are two inlets to choose from. The Main Inlet is located at the west end of the Harbor and is popular with larger boats as it has a mean low tide of 6 feet, the same depth as the rest of the channel. The coordinates for the Main Inlet are 24 41 97.8N and 81 07 21.1W. Sister Creek, the southern inlet is shallower with a mean low tide depth of 4.2 feet. The coordinates for this entrance to Boot Key Harbor is 24 41 25.0N and 81 05 19.6W. Operated by The City of Marathon, Boot Key Harbor City Marina is open 7 days a week from 8:00 am to 5:45 pm. The City has developed a mooring field which provides boaters with 226 mooring buoys available on a first come, first serve basis. 211 of the buoys can accommodate boats up to 45 feet in length. The remaining buoys are capable of handling vessels up to 60 feet in length. To expedite your arrangements with Boot Key Harbor Marina, here's a PDF for their Express Check-In process. Once you've completed this non-reservation document, it can be emailed to them at forms@ci.marathon.fl.us. At Boot Key Harbor, mooring rates for liveaboards can be arranged by the day, week or month. Fees include dockage, the use of showers, holding tank pump out, and 1 parking space. Additional services can be arranged, some for a nominal fee, while others are free. These include additional parking, project room use, ice, laundry facilities, storage, and extra holding tank pump outs. 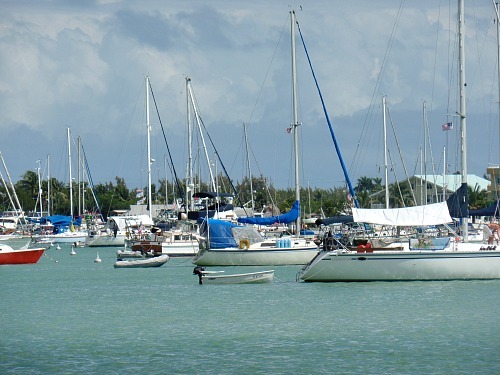 Over and above this popular harbor and Florida Keys marina, you'll find other quality Marathon FL marinas listed below. However, please remember that not all the Middle Keys marinas mentioned here are full service. Everyone has their own niche, and there is no exception to this rule, even when it comes to a marina in the Florida Keys. Take the time to review the Florida marinas listed below. They've been arranged geographically north to south by their region, then the individual marina listings for each region in the Middle Keys are organized alphabetically. If any of the Middle Keys marinas listed seem to fit your specific needs, make the necessary inquiries to make sure they can accommodate you or have what you require. GPS coordinates are typically reasonably accurate, but GPS coordinates can sometimes fall a wee bit short of their mark. These Florida Keys marina GPS coordinates will get you close, if not right on top of your target destination. 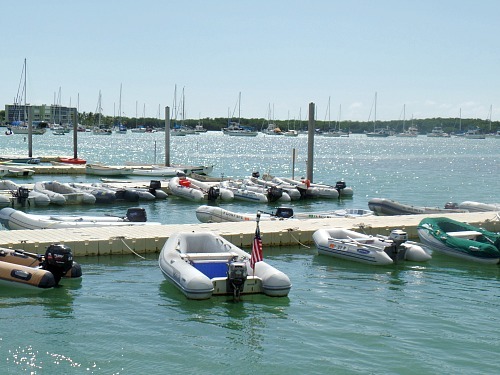 We've listed quite a few Middle Keys marinas providing a variety of services. However, please contact us if you find any marinas not listed that should be. This will allow us to add the listing to our Directory.